Along with all of the corn and soybean trials that I have been scouting, maintaining, and documenting, we have several wheat trials in the mix. This past week we harvested our last wheat plot in the area- Pulaski, NY- and compared the varieties. I’ve never had much experience with wheat in general let alone harvesting it, so this was a new experience for me. The excitement started out as soon as I arrived; they needed my truck battery to run the weigh wagon since it had suddenly been drained. 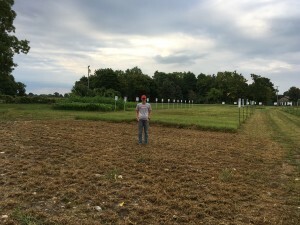 After pulling my battery and getting the wagon running, we got out all of our equipment for measuring the test weight and moisture and a spreadsheet that calculated the tons per acre. Once we got all set up, the harvester went to work, carefully harvesting one row at a time and then dumping the load in the wagon to be tested and weighed before transferred to the truck. I had the opportunity to watch all of the testing take place for the first variety before jumping in and helping. 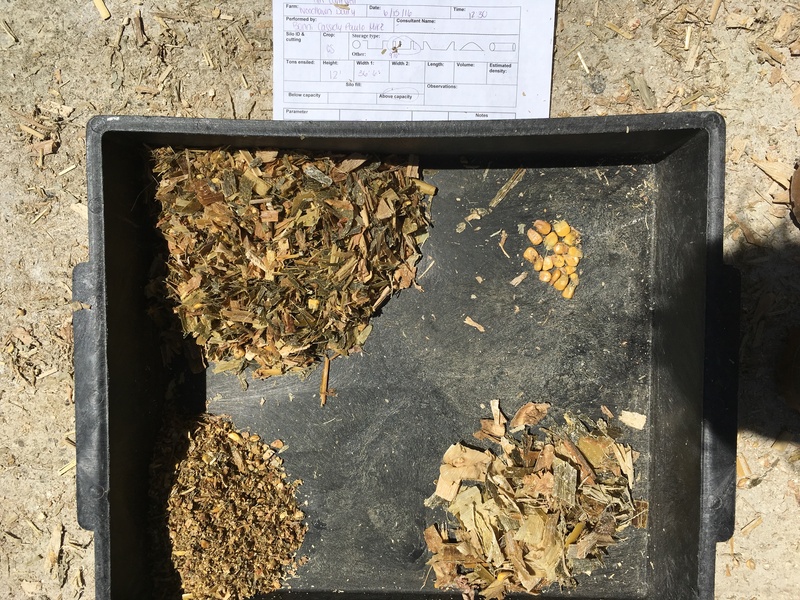 We had two different measuring instruments that gave us the moisture of the wheat of individual samples and then an average of three samples. 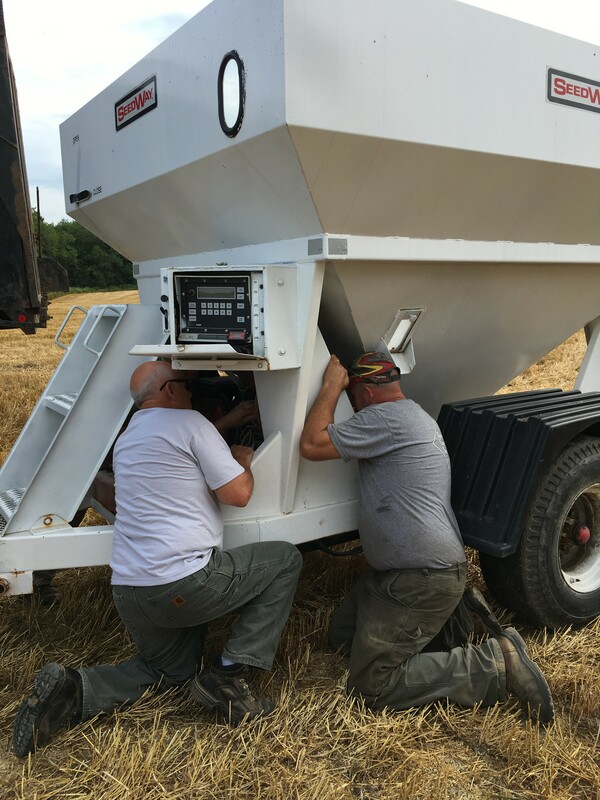 In addition to moisture and test weight, we recorded the length of the wheat section that was planted and the weight the wagon displayed. On the pre-made spreadsheet, there was already a function that produced the tons per acre given the information we recorded and entered. 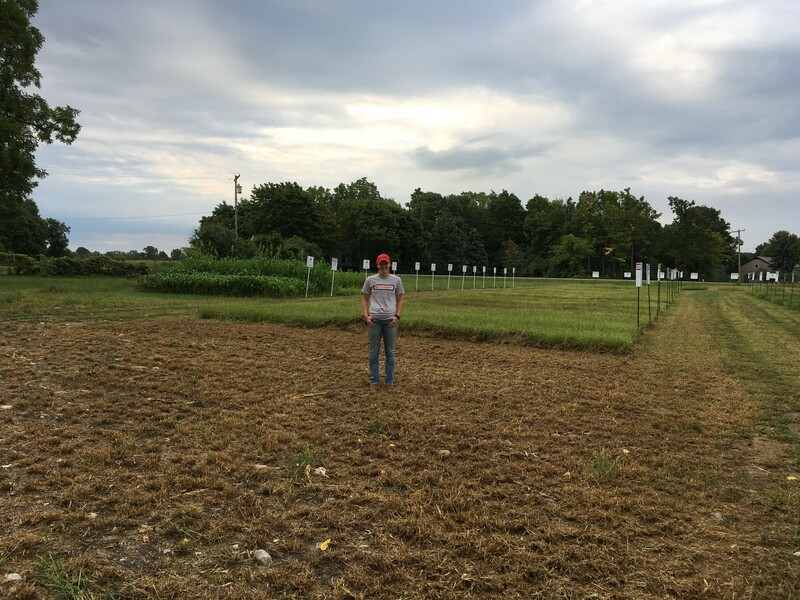 In this trial, we only had seven varieties of wheat, whereas most corn and bean plots have upwards of twenty. 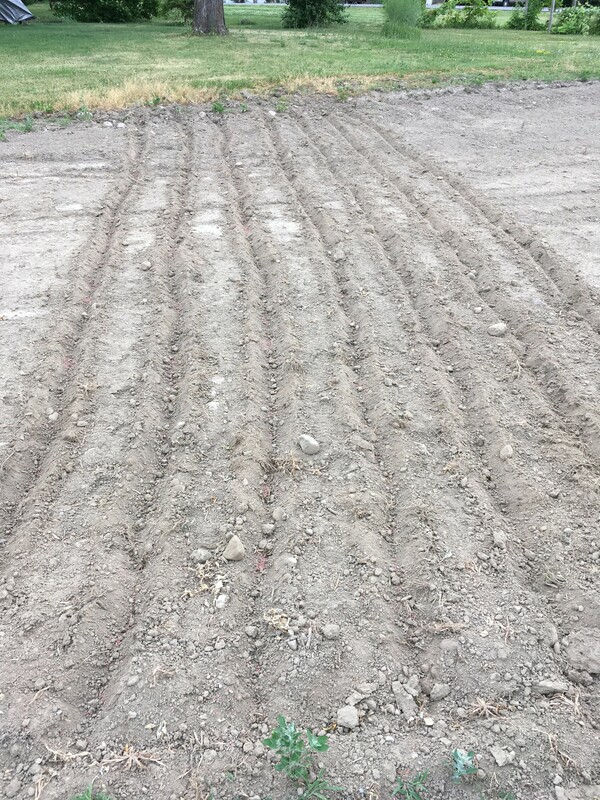 We had a range of tons per acre between 74 and 88, which for the field they were planted on was very impressive. 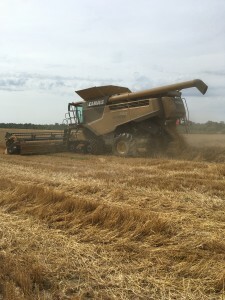 The soil had been rock hard with little to no moisture for quite a long time and the wheat harvested around the plot had ranged from 26 to 120 tons per acre. 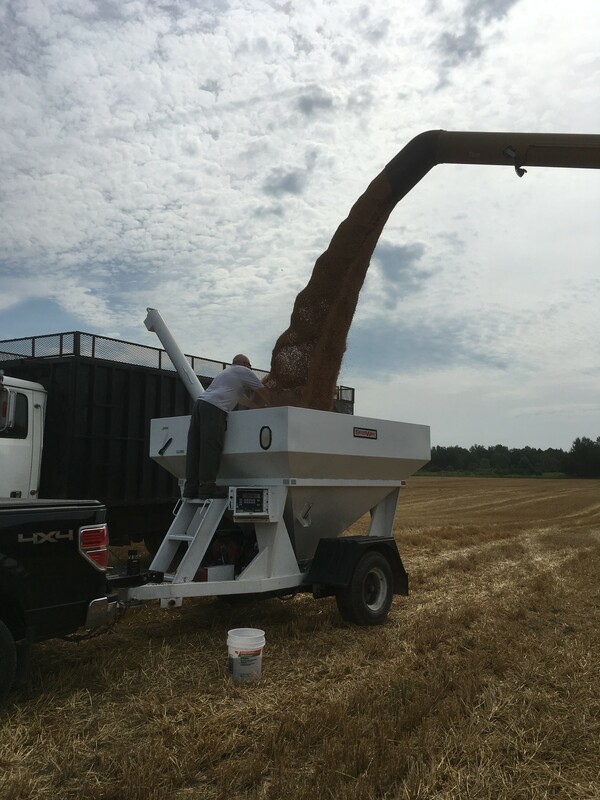 We found that the lowest yielding variety was Cornell’s Erie wheat and the highest was Seedway’s 550. 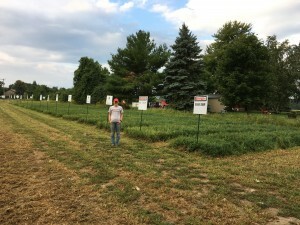 Unfortunately this will be the only plot I will have had the opportunity to harvest, but it was definitely a unique and exciting experience. 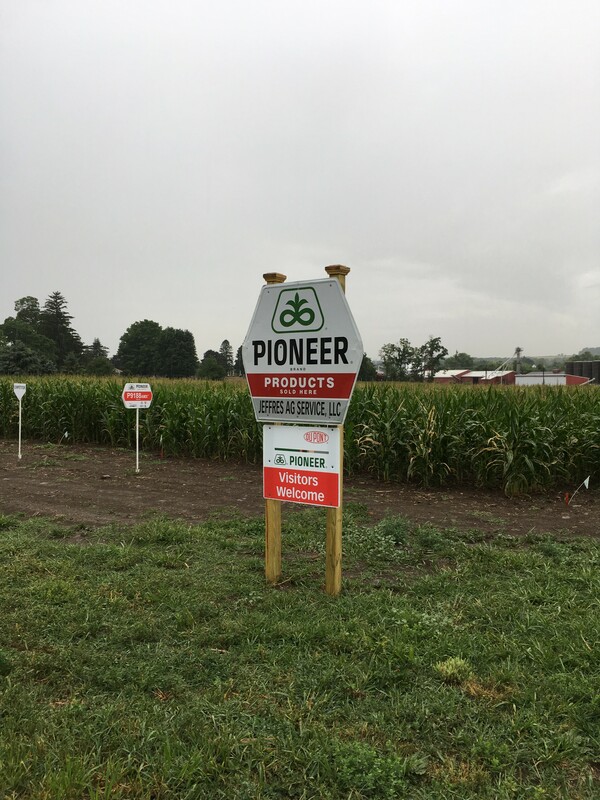 Luke Bryan said it right- rain makes corn… and rain is a good thing. Unfortunately over the course of my internship we have barely had an inch of rain. It has been at least 3 weeks since we last had any measurable rain and the crops are suffering because of that. Over the past few weeks, I have been taking care of my test plots and watering them as needed. Which, in this weather, is at least once a week. The two main plots that I have been monitoring are located in Hall and Seneca Falls, NY which has not been ideal this summer. 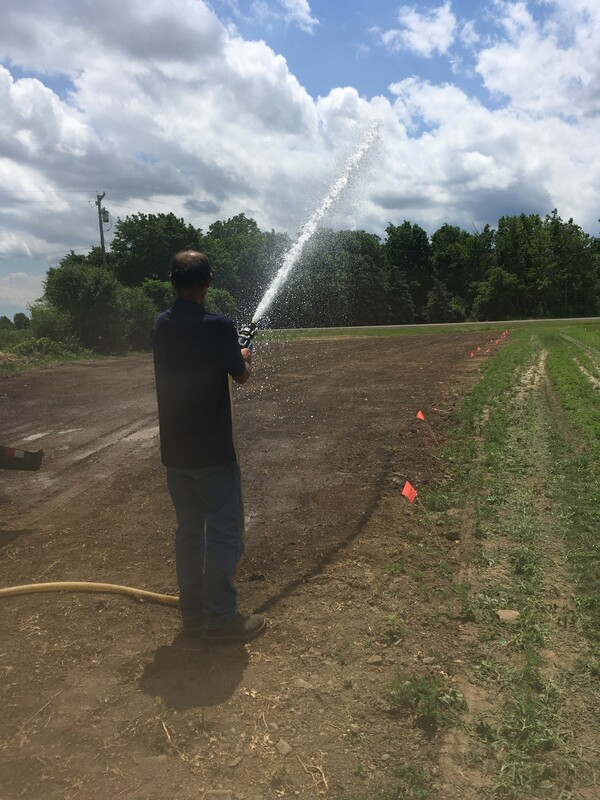 At least once a week I water the plots with a 1500 gallon tank full of water and fire hose. 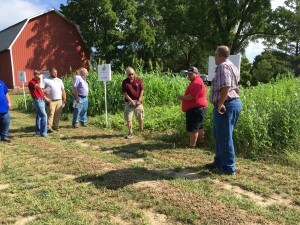 Both of the plots are mostly cover crops, however, the one located in Hall has forages, alfalfa, grass mixes, and organic corn. The heat has made most of the cover and alfalfa plots burn up and die quickly along with the corn. In hopes of salvaging what has yet to burn up or die, I channel my inner firefighter and break out the hose. 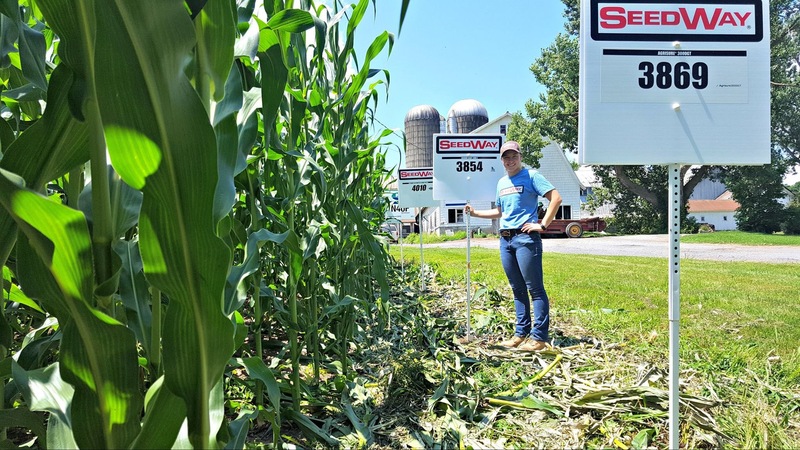 The test plot located in Seneca Falls is actually a plot that will be shown during the Empire Farms Days at the beginning of August ans is located right on the show site. 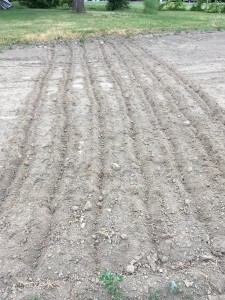 The owner and operator of the land and show has graciously installed an irrigation system to keep the plot watered. Hopefully the weather God’s have some mercy and let the rain fall soon. 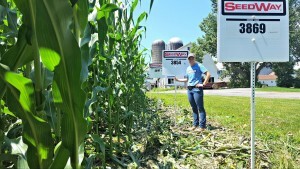 This summer I have a dual internship with Seedway and CHR Hansen, based out of Hall, NY. My internship looks at both ends of the agricultural spectrum; the plant and the animal. 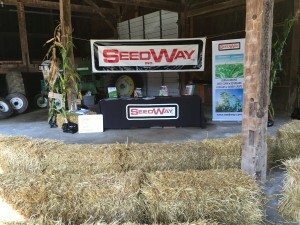 The two companies work together; Seedway sells CHR Hansen product and CHR Hansen helps farmers manage their plants. 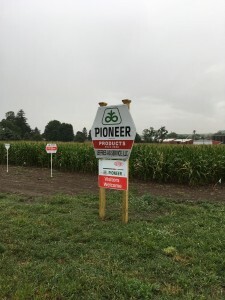 I wasn’t expecting to be a part of both companies this summer, but to my surprise it is very interesting and helpful to see agriculture from both points of view. When I work with Seedway, I maintain forage and grain plots, I deliver seed, and scout fields for pests, diseases, and any other problems the farmers may be encountering. 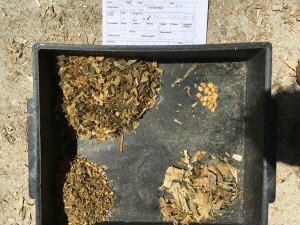 On the other hand, with CHR Hansen, I take corn silage and haylage samples along with manure samples and analyze them in order to help the farmer get the most nutrients and increase the milk they are getting from their cows. During June, I spent a whole week working with CHR Hansen and we traveled up to Vermont and New Hampshire to do some testing. We met with one of the CHR Hansen dealers in Vermont along with a CHR Hansen employee who works in Brazil. Throughout the week, we went to numerous farms and took countless samples. We also presented our results to a few farms, showing them improvements they could make in packing or chopping or how our product would help eliminate their spoilage. Many of the days were long days, not reaching our hotel until close to midnight and then leaving before the sun rose the next morning. All in all, the week was one that was unforgettable. 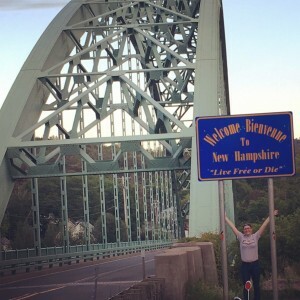 I put my feet in two states I had never been and with this internship that seems like it won’t be the end of my travels.